Canada has two official languages, English and French, and there are over 8 million French speakers in Canada, primarily in the province of Quebec. The French language has been spoken in Canada since the seventeenth century, when France established the first European colonies in North America. August 31, 1666: The first Canadian census revealed that the population of New France was 3,418. There were 584 people living in Montreal and 555 people living in Quebec City. There were seven married women younger than 15. Quebec City, founded by explorer Samuel de Champlain in 1608, is the oldest European-built city north of Mexico. Montreal, with a population of almost two million people, is the second largest French-speaking city in the world after Paris. Many people outside of Canada might be surprised to learn that the French spoken in Canada is quite different to the language spoken in France, and that the two forms are actually more different than American and British English. This was something I discovered when I arrived in Canada and tried to listen to French television. Even though I considered my European French to be quite fluent, I could barely understand anything. It seemed as if I was listening to an entirely different language. The two people in the video below are discussing these differences and some of the reasons behind them. They are speaking in French with English subtitles, so if you speak French you will be able to hear the difference in pronunciation. Canadian French has evolved and developed over the course of 500 years of history which has involved a tangled web of linguistic, political and social issues. There were two early French settlements in Canada. One was Acadia, in present-day Nova Scotia, where most people came from south-western France. The other was New France, in present-day Quebec, where the majority of people came from northern France. While the French language spoken in France was later standardized to conform to Parisian French, settlers in Canada brought and retained their own regional dialects. Canadian French was also influenced by British rule. The Treaty of Utrecht gave Britain control of Acadia in 1710, and France ceded all her Canadian possessions to the British at the Treaty of Paris in 1783. With cultural ties to the mother country severed, Canadian French evolved and developed independently, and as a consequence retained many old-fashioned features of seventeenth century French which have disappeared in modern European French. Subsequent to the British conquest of Acadia in 1710, the Acadians wished to retain a neutral position between England and France, and consistently refused to sign an oath of allegiance to Britain. Consequently, the British regarded them as a security threat. Between 1755 and 1758 they carried out a large-scale expulsion of Acadians which led to the spread of the French language throughout North America. Many Acadians resettled in Quebec while others migrated to other parts of present-day Canada such as Prince Edward Island and Cape Breton. Some migrated to Louisiana where they formed the Cajun community, while some eventually returned to Nova Scotia. By the early nineteenth century a stratified social structure had developed in Quebec. English was the language of government, the professions and management, while French was the language of the working class. Partly because of cultural isolation from France, and partly because of the power relationships between English and French, Canadian French borrowed many English words and expressions, particularly related to business and technology. In the nineteenth century, as a result of immigration by large numbers of English speakers and policies of assimilation adopted by the British government, the French Canadian community became concerned about its survival. In 1806, the Quebec newspaper Le Canadien held as its motto the three pillars of cultural survival: the Catholic faith (which was considered to be the most important), the French language and institutions, and a strong co-operative movement. French institutions included the French Civil law system. Unlike British Common Law which is based on custom and precedent, French civil law is based on a written civil code. However, the French speaking population remained in a minority position. English was the language of government, the civil service, and banking. Canadian postage stamps, for example, were printed in English only until 1927, and when the Bank of Canada was established in 1934, it printed currency in English only. The 1960s ushered in the Quiet Revolution in Quebec. The provincial government created a secular welfare state by taking the responsibility for education and health care away from the Catholic church. At the same time, the influence of English was becoming greater with the development of U.S. multinational corporations and the growth of the American entertainment industry. As a result, the French language rather than faith became the primary pillar of survival. The 1960s was also the era of the international civil rights movement. French Quebeckers became conscious of their civil rights, and began to realize that they were discriminated against on the basis of language. This view was supported by a Royal Commission which found that francophone income ranked twelfth among the fourteen main ethnic groups in Quebec. Consequently, the civil rights movement in Quebec focused on removing discrimination against French speakers by fighting for language rights. At the same time, a surge in Quebec nationalism led to the formation of the Parti Quebecois, which was committed to a political route towards Quebec independence. In 1969, the passing of the first Official Languages Act made Canada officially bilingual and provided Canadians with access to federal services in the official language of their choice. The Office of the Commissioner of Official Languages was also established to protect language rights in Canada. However, Quebec nationalism remained very much alive. Quebec voters have elected three separatist premiers since the formation of the Parti Quebecois, a political party devoted to separation, and have also elected separatist members of Parliament to represent them at the federal level. In 1977 the separatist government of Quebec passed Bill 101. This was a sweeping language bill which legislated that all public signs and advertising be in French, mandated companies to favor French in the workplace, and required new immigrants to send their children to French schools. Voters also narrowly rejected separation from the rest of Canada in referenda held in 1980 and 1995. Although there is an on-going debate concerning whether Canadian French should retain its individuality or conform to international Standard French, the future of the French language in Canada now seems secure. It is in fact so secure that in an open letter to Canadians in 2015, Graham Fraser, the Commissioner of Official Languages, states that Quebec is now a majority Francophone society and that the Commission needs to address the status of English speaking minority immigrants in Quebec. However, Mr. Fraser's statement appears to have raised quite a few French hackles, and the status of Quebec as a French-speaking province within the Canadian federation remains an important item on the Canadian political agenda. Yes, the two varieties of French are about as different as British English and Glaswegian, which I also find incomprehensible! Thanks for stopping by, Pat. Interesting article. 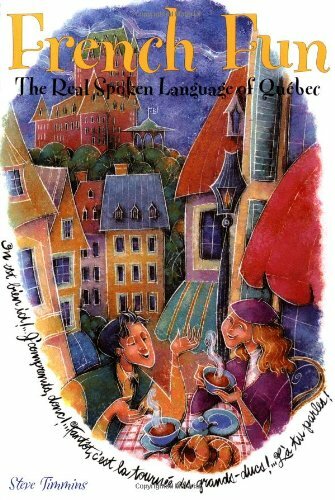 Since my mother is Quebecois I have heard and learned their version of French but studied French at school. I have never had a problem understanding Parisian French and they understand me as well. My mother however, has been critical of my pronunciation so I guess that I speaker more Parisian than Quebecois. Thanks for stopping by, Zabelle. Yes, there is quite a difference in pronunciation, and I still prefer Parisian pronunciation (probably because I learned it first).